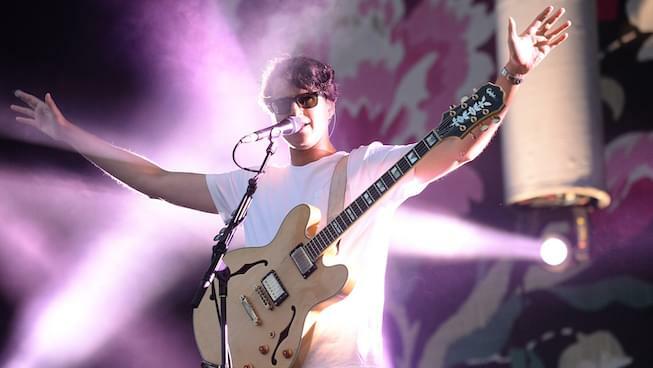 Vampire Weekend has announced that their fourth album Father of the Bride is set for release in the spring. But that’s not all. They dropped the news alongside two new tracks, poppy “Harmony Hall” and a short and sparing “2021.” The title of the new album, which follows Modern Vampires of the City from 2013, was named years ago, before “recent significant developments” in lead singer Ezra Koenig. We’re guessing this is alluding to his welcoming a child with partner director/actress Rashida Jones. “In typical VW fashion, the title has multiple layers of meaning, expressing the band’s signature paradox: creating songs that easily find a home on any playlist — or car radio, TV show, film soundtrack, airport PA, etc. — but reveal their complexities upon closer listening,” the band’s camp says in a press release. Koenig announced in a recent tweet that the band will release “three 2-song drops every month until the record is out.” Check out the new songs below.